The trailers are a bit corny, but all trailers were corny back then (warning, some contain spoilers!) 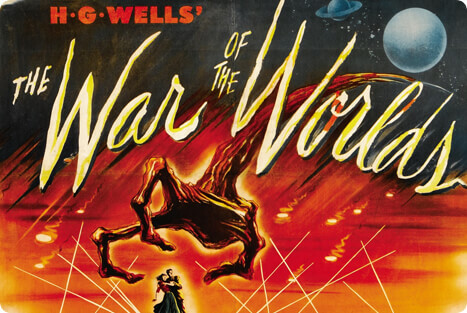 These fun, exciting, scary movies have inspired sci-fi filmmaking ever since. There's a reason Spielberg and Cameron think these are classics! Some say this movie is about McCarthyism, Communism, or even Consumerism. I need to learn a lot more before I can comment on any of that. But for me, it's about two things: first, giving up your individuality to the group (kind of losing your soul), and second, FEAR! This is a creepy movie in the best way. The 1978 version is good too, but this one is my favorite. Classic Scene: The pod opens! 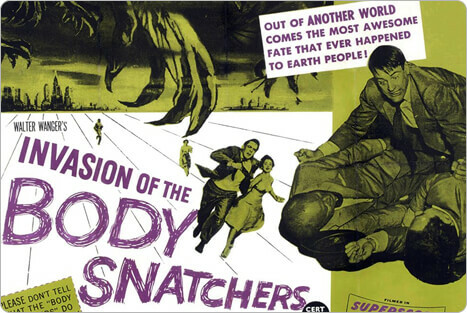 Like Bodysnatchers, some critics say this movie is about the 1950s fear that Communism was taking over the U.S. Your neighbors might look and act like you, but they're not! I don't know about that, but I love this movie. From the lonely setting in the North Pole, to the haunted-house-like shelters, to the shape-taking Thing itself, this is a scary, suspenseful, and funny movie. 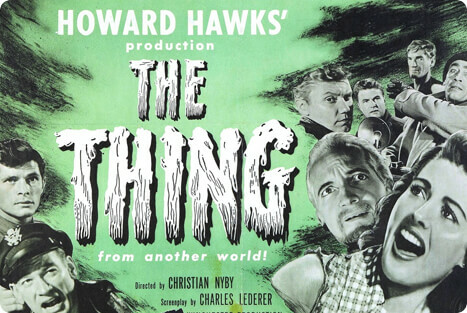 Classic Scene: It's the Thing—shut the door! 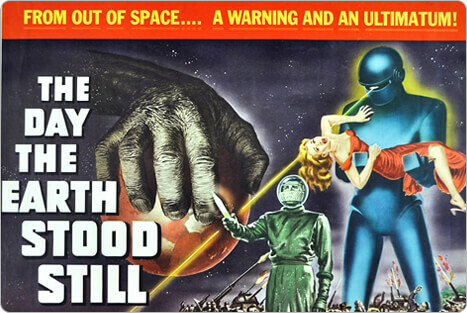 A lot of 1950s sci-fi monsters had something to do with radiation. Most critics say these monsters reflect our fear of the atomic age. 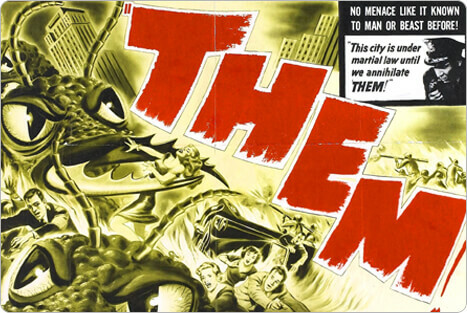 That's probably true, but if that subtext doesn't interest you, let me add two words: giant ants! This movie is so good, James Cameron borrowed a lot of it for his movie, Aliens. Sometimes the portrayal of women in these movie isn't the best, but Dr. Pat Medford (Joan Weldon) is smart, tough, and brave. This movie is a lot of fun. 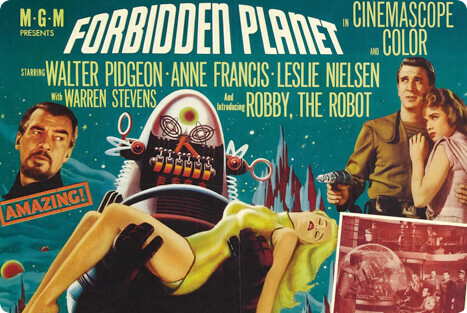 I'm not crazy about how Altaira (Anne Francis) is portrayed, but Robbie the Robot makes up for it. When a starship stops by the planet Altair IV to check on a scientific expedition, they find only Dr. Morbius and his daughter Altaira alive. Soon a mysterious monster starts attacking the ship—and you'll never guess where the monster comes from! 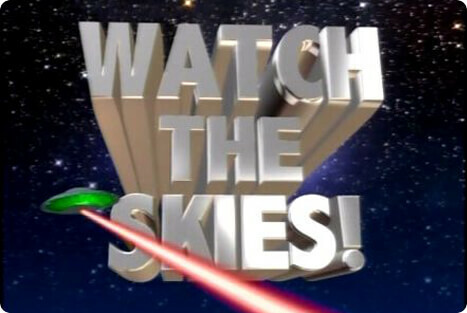 This is considered one of the great sci-fi movies of all time. Steven Spielberg loved it so much, he remade it in 2005. The electronic eye is cool and creepy, and the Martian ships overwhelm our forces. Poor Los Angeles gets destroyed yet again (city hall is blasted to bits). There's nothing we can do to stop the invaders, but there's a defense that the Martians (and us too) have completely overlooked! This is another movie that some say is about the spread of Communism (get the joke?) I think it's Steve McQueen's first movie (I loved him in The Magnificent Seven). 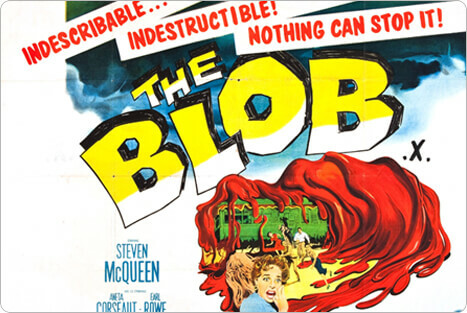 This is one of the cornier classics, full of creepy fun—I mean, it even had it's own pop song, Beware the Blob. I think the scene where the blog attacks the movie theater is a classic. A planet named Bellus is on a collision course with earth—and there's only time to build one space ark. Who will be saved? If the choice was up to you, who would you choose—you're friends and family, or those who gave the human species the best chance of survival? This is a thoughtful, suspenseful movie—and the ending is both global, and very personal. My grandma was a little girl living in Hiroshima in August 1945, so this one is kind of personal. Unlike a lot of Godzilla movies that followed, Gojira (it's Japanese title) was a very serious film. 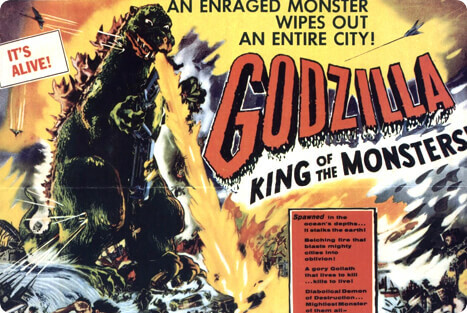 It took a dark look at the atomic age, making Godzilla a metaphor for the consequences of our actions (here's a great article about all that). Even with so much subtext, Gojira is a suspenseful, exciting, and scary movie. 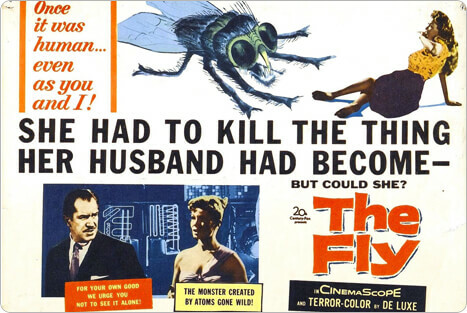 I'm told that another theme in 1950s sci-fi movies is "the scientist going too far." This movie opens when our scientist hero is found dead—his head smashed in a hydraulic press. Through flashbacks, we learn about his experiments with the "disintegrator-integrator," a kind of pre-Star Trek transporter. Things go wrong from there. The classic "fly view" of his wife is great, and the "disappeared" cat is super creepy. My dad says Richard Matheson is one of the best writers ever. This movie was based on his book, and it's not just exciting, scary and at times funny (like when he first starts to shrink), but it's got big ideas too. I wonder if Marvel's Ant Man borrowed the shrinking forever stuff from this movie? 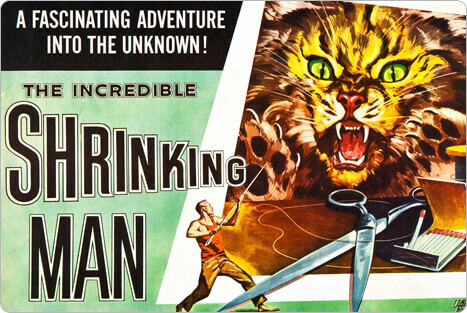 As he shrinks, everything becomes an enemy, even his own cat! 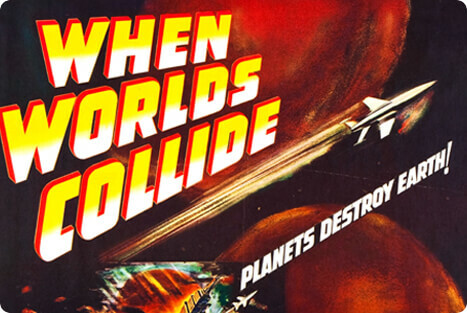 If you love 1950s sci-fi movies, you have to watch this amazing documentary. Stephen Spielberg, George Lucas, Ridley Scott, James Cameron and others talk about how these movies inspired them. You'll see clips from a lot of classics, so take notes—you can create the best watch list ever from this documentary!